The “Knockout” game, have you heard of it? It’s a game where young people randomly target a person who is alone and looks like they won’t fight back. They hit them over the head and knock them out. The person, not knowing what hit them, falls to the ground and lays there until they wake up on their own on the street or in a hospital. They have no time to fight back or respond. It’s happening in New York, Pennsylvania, Michigan, Chicago, St. Louis, D.C., and a few other cities in-between. The youth who are caught say they are doing it because they’re bored and have nothing better to do. They say they don’t want to rob the victim. The goal is just to single someone out, possibly on a dare by other members of the group, and leave the person unconscious on the ground or sidewalk, and just walk away. Elderly people have been targeted. A 78-year old woman was approached by a man she says was possibly 20-years old. She says the man punched her in the head and left. Although a number of news organizations have reported that this is some new phenomenon, it is not. In fact, he says he’s heard of incidents of this so-called Knockout Game dating back to 1996. But, he and other investigators say the Knockout game is news now because just about everyone has a video phone or surveillance cameras and that video easily makes its way onto the internet. Who’s doing it? It’s obvious from the video and where it’s happening. It’s inner city youth. The same researcher says it’s important to realize this tiny ‘Knockout’ pattern is part of a stronger pattern of random violence against strangers in this country and that it may be time to take a hard look at how we engage, or disengage, teens when this kind of antisocial and violent behavior takes root in our communities: poor youth and child engagement, gang mentality, and a breakdown of the family and parenting. What’s acceptable to some in our society, what’s funny, or entertaining, has become dangerous, criminal, even deadly. What teens should know is if they do this they will get caught. They will go to jail like the 20-year old who accidentally killed a 72-year man in St. Louis in 2011. He’s serving 55 years in prison for second-degree murder because they thought it was funny. Then there’s the 17-year old in Lansing, Michigan who was shot after trying to knockout a stranger with a stun gun that misfired. The intended victim was reportedly waiting at a school bus stop to pick up his daughter and was legally carrying a concealed weapon. I am so sick an tired of a main stream media who wants to ignore black on white violence. If this were white youth attacking black people every news outlet in the county, along with Jesse, Al, and the rest of the Black Civil Rights Movement, would be screaming. Only once a Jewish person was attacked do they begin to mention, “hate crime.” The hypocrisy on race is appalling. This is much worse than getting hassled because of being black while shopping. You don’t see how one could provoke the other? And here is Daniel, the typical white liberal apologist. I hope you get knocked out next, that way you’ll see how much blacks care for you. This is NOT a black or white issue, I am upset that in our day we have to think about what color the person was who committed the assault and was it against a person of other color? I have been a Paramedic for 24 years and if you are so ignorant to look at the color of the victim and assailant, to look at their skin and say this is a race issue, think again, it is a CRIMINAL ISSUE. the colour of blood is red, we all share that, I see it daily and the only thing people who are hurt want to see is justice which should have no color, race or creed attached to it and the justice needs to relect the potential worst case outcome that has been proven to happen to victims, that is death, so this act of brazen knockout games is nothing short of attempted murder, treat is as such and maybe people will think twice. Aron. I wish you could give your comment all over the world. Soooooo true. Our color truly is blood. And we all r related thru blood. Well said. Thank you. Oh please, this is absolutely an issue seen almost solely among black kids. Dump the whole “we are all human” act, as I doubt you’d have that attitude if blacks were getting knocked out by whites. This is not new, I remember hearing about this years ago, it’s just a recurrence and once it was no longer happening people simply forgot about the incidences of it. While they claim they are bored, they need to pick up a book and gain some type of knowledge. When they are shot, don’t cry victim. The man was waiting at a bus stop, not on school grounds. The punk earned his gun shots fair and square. He had a legal permit to carry a legal firearm case closed! The man carrying a concealed weapon on school property should have been investigated and charged with a deadly assault with hate crime intentions himself. Nothing scarier than a Tea Party thug carrying a weapon. His crime is no different than the alleged attacker. Thank you, Mr. 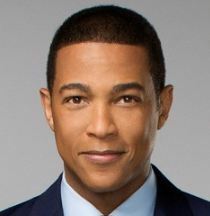 Lemon, for addressing this despicable behavior. It’s also despicable that the same so-called “leaders” who scream when a Black person is attacked (Yes, I’m Black) are deafeningly silent about this equally appalling violence against other people who are simply minding their own business while walking down the street.. This is no “game”; it’s felony assault and people have died as a result! It is totally indefensible, and shame on Anyone who thinks it’s ok. It’s NEVER ok. This double standard crap needs to stop. “Inner city youth”…. Just stop. We all know who it is, it’s BLACK teenagers. Whenever you see “inner city youth” it means black kids. Black culture thrives on ignorance and primitive thought/actions. Crazy and ignorant. Get a life! They have nothing better to do because their parents/parent are not giving them something to do! They have nothing better to do because they do not have the same parents that I had. When I was a child, there was too much work for us to be bored. IF we even THOUGHT about doing something so ridiculously criminal, we would only hope and PRAY for immediate death because that is just what it would feel like after my parents got finished with us. Then IMMEDIATELY afterwards, we would be forced to return to ADDITIONAL chores. I agree with you people are just evil. I hope every one of the savages that throws a punch at an innocent victim is cut down where he stands.